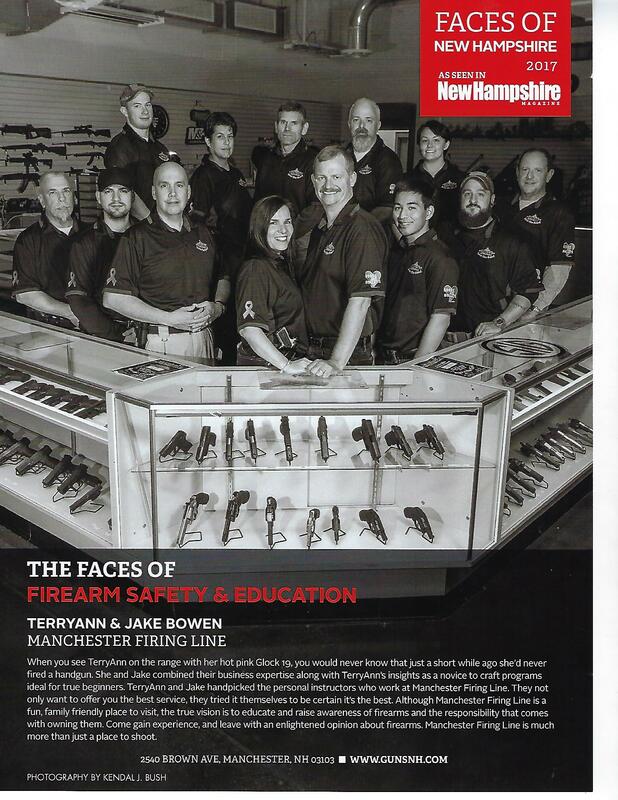 MFL named THE FACES OF FIREARM SAFETY AND EDUCATION in New Hampshire Magazine! Check out the December 2017 publication of New Hampshire Magazine and you will see that Manchester Firing Line has been named New Hampshire's FACES OF FIREARM SAFETY AND EDUCATION. It is our honor to provide firearm education and safety awareness to the public. Thank you to our valued customer's for your continued support and to our new customers, COME ON IN, we are looking forward to meeting you.